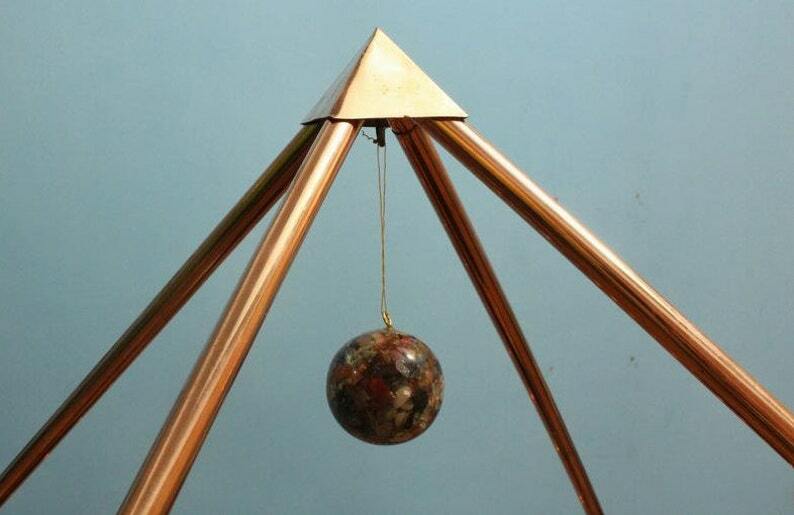 Giza Copper Meditation Pyramid 6 feet Base for self-healing. This full set is the best and cost-effective in the whole world. Six times polished to fit and make the complete pyramid. The main pipes, connectors, and the capstone is then grind-ed, buffing, highly polished so it won’t tarnish in time and the original copper colour will remain for a very long time. This complete pyramid set will be sent in 2 different packages. The connectors, capstone pyramid and crystal will be sent in a small box and the main 8 copper pipes will be sent in a PVC pipe with end caps on both sides. Shipment will be sent through FedEx priority services within 2-3 business days. At first I had a incomplete shipping, but he took care of it. I now have a complete Copper Pyramid. The energy is amazing!!! I love it. I highly recommend it. Fast shipping by the way. Super fast shipping, item as described, very good craftsmanship quality. Even included 4 quartz crystals! !